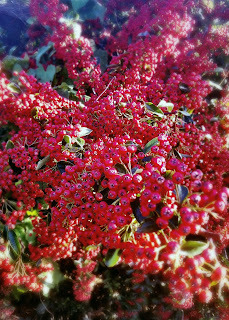 This pyracantha in our local park is earning its common name of 'firethorn'; a garden escapee from a plot the park backs on to, it's ablaze with berries which will help see birds like thrushes and blackbirds through the coming cold weather. Although the berries look ripe to us, the birds know better: when they reach their most nutritious, the bush will be stripped. Before that happens I've 'borrowed' a branch to make my Christmas wreath. 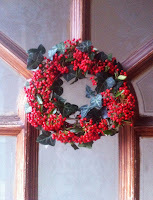 With a few strands of ivy it makes something far prettier than I could buy in the shops, and when I take it down I'll put the berries out in the garden for the birds. 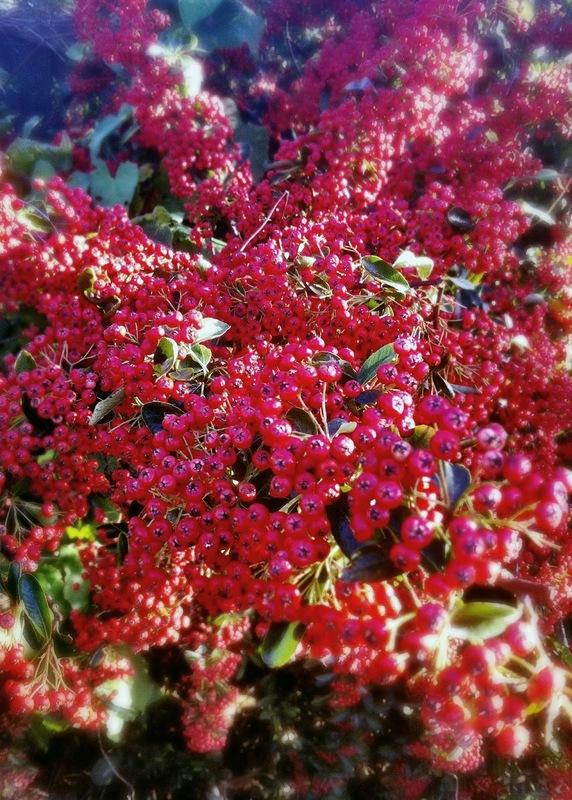 Addendum: in January I watched a redwing eating the berries from the pyracantha in the park – just as I'd hoped!